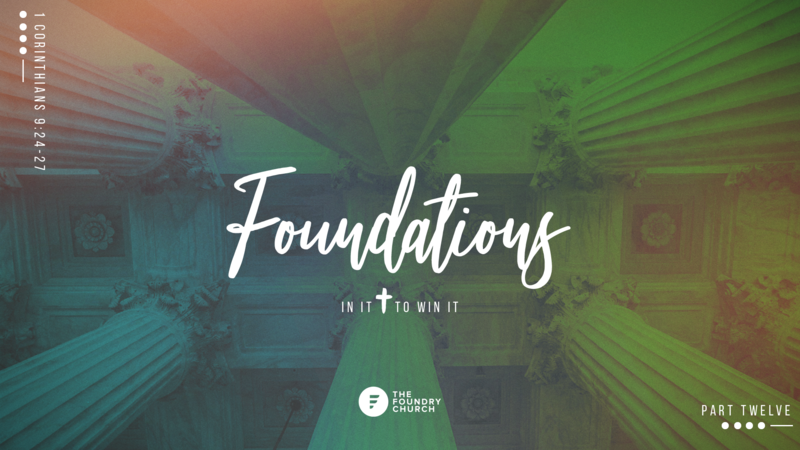 A collection of ideas and observations from the team here at The Foundry Church. In 1 Corinthians Chapter 9, Paul compares living the Christian life to a race. A race that has been won by Jesus, but a race that we have also been called to win this side of heaven. You might feel like you’re losing at the race of life. You might feel like everything else around you is winning, and that you’re losing your pace. Paul understands this, and encourages the church in Corinth to run their race with purpose: ‘So I run with purpose in every step’ (1 Cor 9:26). Every moment of our lives can be lived with God shaped purpose and intent. By living with God’s will and purposes at the forefront of our minds and trusting Him, he will enable us to live a life on purpose. Together with purpose, God wants us to live focussed. Paul isn’t just running his race with purpose; he’s living it with focus. He disciplines his body, gets into training for the road ahead. He knows that unless he is focussed and takes this seriously, there’s every chance he could end up missing out himself – ‘Otherwise, I fear that after preaching to others, I myself might be disqualified’ (1Cor 9:27). Wherever you feel you are today in your ‘race’, ask God to help you run to win; to run with purpose, and to run with focus. The prize is glorious. The prize is Jesus. How do you know you are winning at life? What is your measure of success? Is that success what God would view as success? What is your focus currently on? Is it helping you live closer to Jesus or not? How might your focus need to change to better equip you to follow Jesus? Adam is married to Kate and they have two children, Tiffany and Hudson. Adam has been part of the church since 1996, he supports Spurs, enjoys a good read and loves meringue! Together, Adam and Kate took on the role as Lead Pastors in 2017 and provide the vision and strategy for the church as a whole, in addition to managing the large staff team.